Submitted for your consideration: The simplest way to solve a problem is not to solve it at all, but to define it out of existence. Many of the challenges we face in corporate IT may be caused by traditional organizational structure. If it is true that structure begets function, then we may be able to define some of these challenges out of existence by changing the organizational structure. This is a re-issue of a post from my old blog that people have asked for. SR-71 Blackbird. Photo from Wikimedia Commons. The SR-71 Blackbird, a global reconnaissance aircraft developed by the United States Air Force, first flew in 1964, and was in service from 1968 to 2001. Even at the time of its retirement, it represented relatively advanced technology as compared with most aircraft. In 1976, a Blackbird set the speed record between New York and London at just under 2 hours. 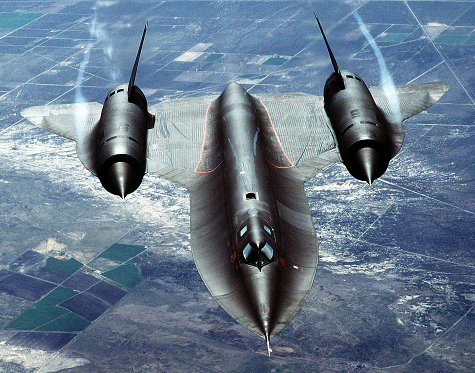 The Blackbird’s speed record for manned air-breathing aircraft still stands, although manned rocket-powered aircraft and at least one unmanned air-breather have gone faster.